This memorial website was created in memory of our loved one, Marvin Julian Miller, 95, born on April 14, 1917 and passed away on November 27, 2012. Where Marvin Julian Miller is buried? Locate the grave of Marvin Julian Miller. How Marvin Julian Miller died? How to find family and friends of Marvin Julian Miller? What can I do for Marvin Julian Miller? He was an American executive director and Labor leader. 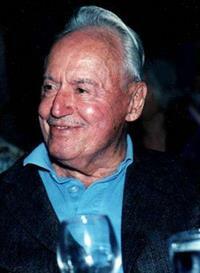 Miller graduated at the University of Miami at Ohio and New York University. He was the executive director of the Major League Baseball Players Association (MLBPA) (1966 - 1982). He was also a leading economist and negotiator for the United Steelworkers. He died at his home in Manhattan, on November 27, 2012 of a cancer. Note: Do you have a family photo of Marvin Julian Miller? Consider uploading your photo of Marvin Julian Miller so that your pictures are included in Marvin Julian Miller's genealogy, family trees & family history records. Sysoon enables anyone to create a free online tribute for a much loved relative or friend who has passed away. Address and location of Marvin Julian Miller which have been published. Click on the address to view a map. Marvin Julian Miller was born in Bronx County, New York City, New York, United States. 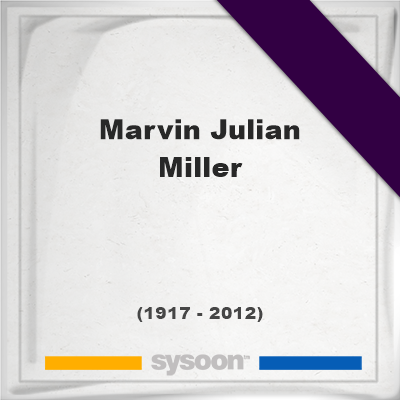 Marvin Julian Miller died in Manhattan, New York City, New York, United States.